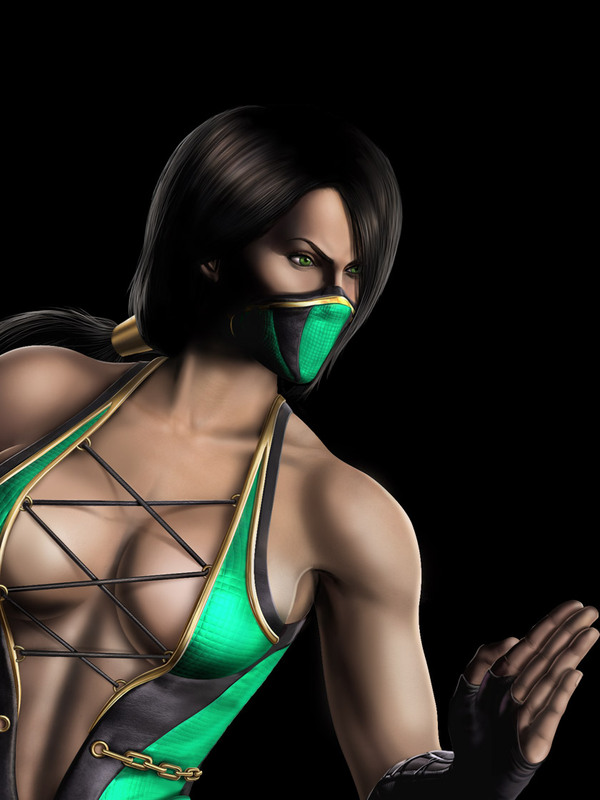 Jade is a childhood friend of Princess Kitana. While her motives were unclear, she served Shao Kahn alongside Kitana and Mileena as his personal assassin. When Kitana finally turned against Shao Kahn, Jade was ordered to capture her for the Emperor. She ultimately chose to join her friend and has since loyally assisted Kitana in her quest to free their native realm and restore its beauty. 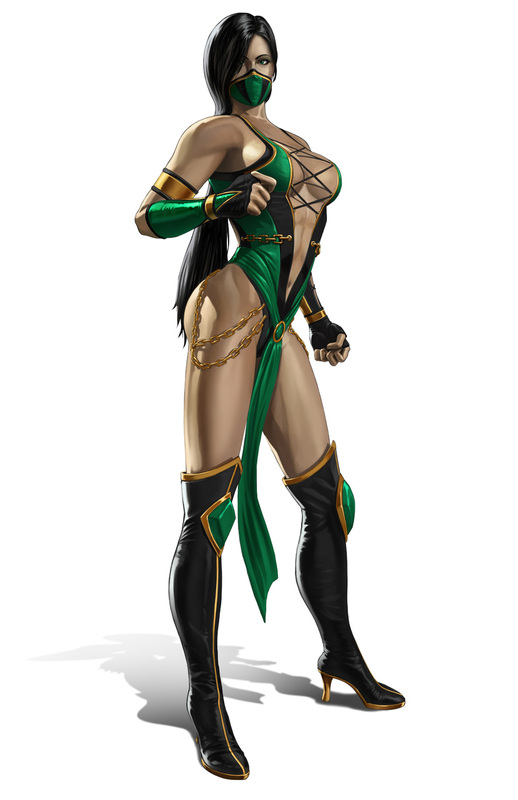 Now residing in the freed Edenia, Jade is a General of the Edenian Army and continues to dutifully serve Kitana and her mother Sindel. 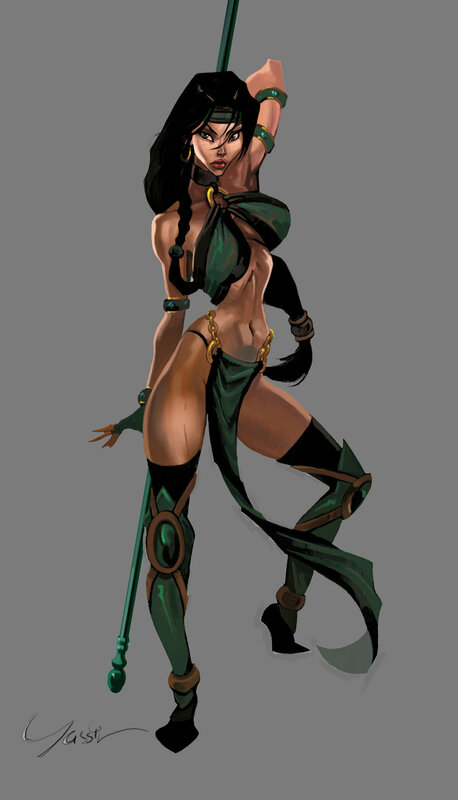 Like Kitana, Jade's origins lie not in Outworld, but in the realm of Edenia. While it is not certain whether or not her parents made any significant contributions to Edenia, it is known that they were loyal and faithful subjects who loved King Jerrod and Queen Sindel. Aside from the fact that she has been Kitana's friend since childhood, there isn't much information on Jade's background and early life. 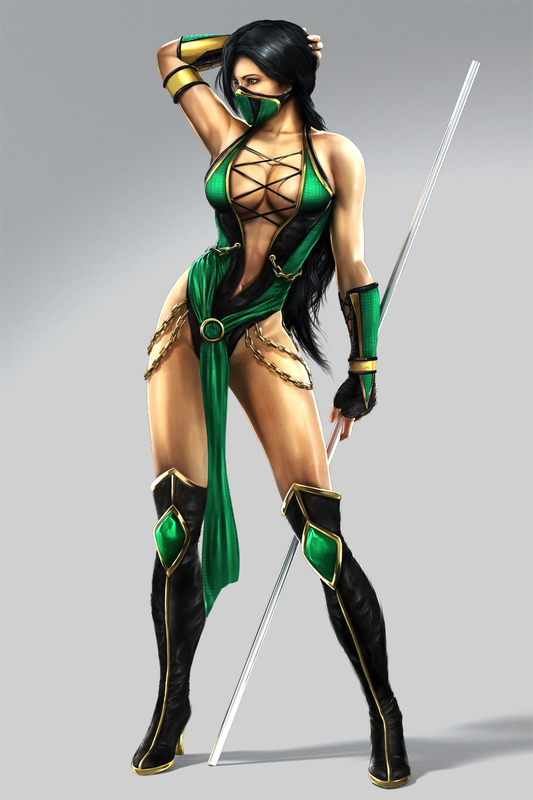 Jade eventually grew up and became one of Shao Kahn's personal assassins. Shao Kahn and Jade ventured into Earth to find Kitana. However, Jade found herself torn between loyally carrying out Kahn's orders and betraying her friend or joining her against the Emperor. She ultimately decided to help Kitana and thwarted Reptile's assassination attempt. With his defeat, the path was cleared for the two women to join Raiden and his Earthrealm combatants in the battle against Shao Kahn and his forces. Of immediate importance, however, was Kitana's personal mission to reach and warn the resurrected Queen Sindel about their true past together. Jade's assistance had made that possible. With Sindel's memories recovered, she too would turn against Shao Kahn. Shortly afterward, Kahn was defeated by Liu Kang. After Kahn's defeat, Kitana would go on to free Edenia from Outworld. 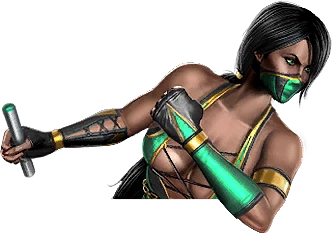 In Mortal Kombat: Deception, it was revealed that Jade had attempted to join Kitana and her allies in the battle against the Deadly Alliance. 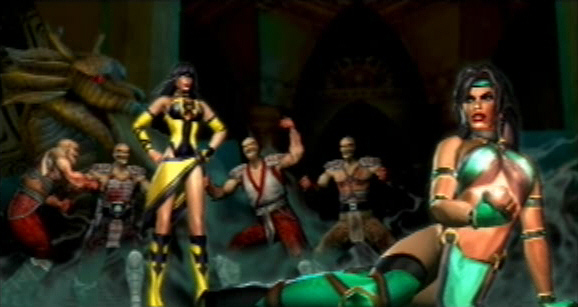 She had arrived too late, finding her friend's body lying on the ground with the other Earthrealm warriors. Heartbroken, Jade knelt beside her fallen friend's side and noticed a large creature approaching. She then hid in the nearby shadows and witnessed this evil menace, Onaga the Dragon King, resurrect the bodies of Kitana and her fallen friends. While they were resurrected, they were also placed under an evil spell and were told to meet up with the force controlling them at the Living Forest. 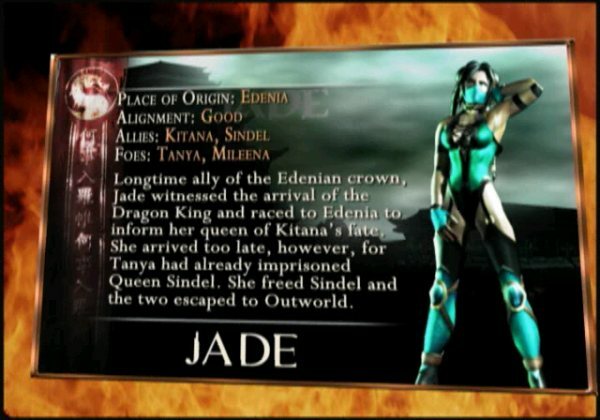 Jade followed in secret, only to discover that they were going to invade Edenia and hold Queen Sindel prisoner. 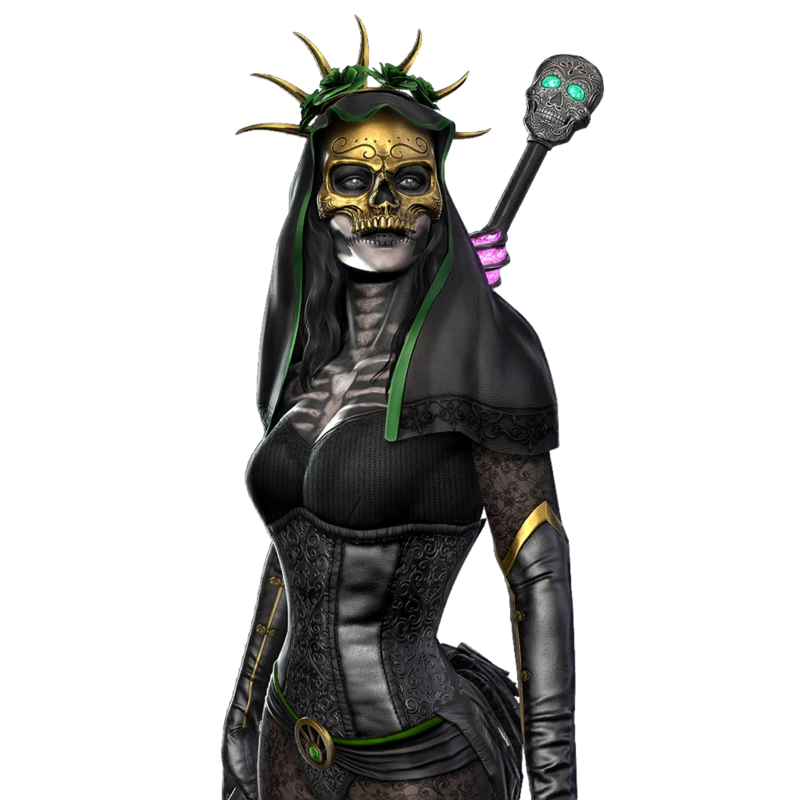 Jade returned to Edenia to find Queen Sindel behind bars and guarded by her own daughter. Sindel could have fought for her freedom, but she couldn't bring herself to attack Kitana. Jade attacked Kitana and managed to trap her in a cage of her own while she freed Sindel. Kitana then began shouting for the guards to capture them, forcing Jade and Sindel to flee to the portal into Outworld. Before they went through the portal, Jade caught a glimpse of her enemy, Tanya, standing next to Onaga. 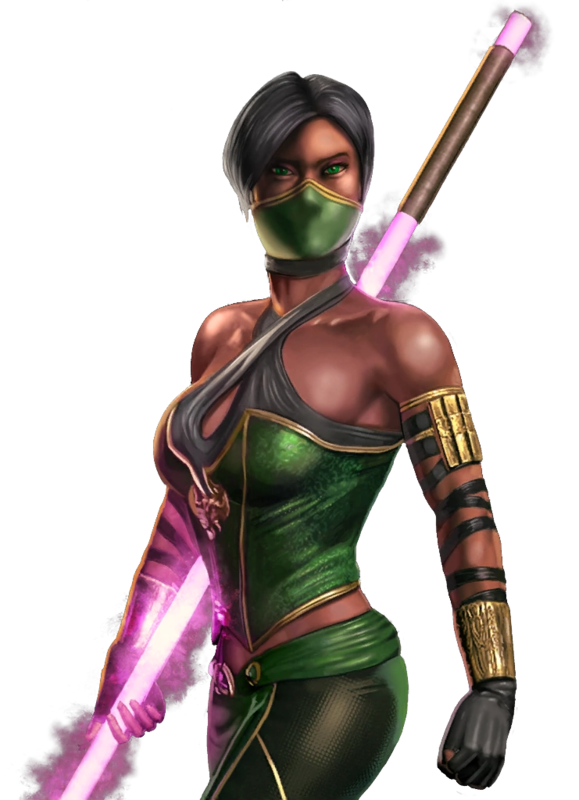 Well, they already had blue & purple female ninjas in MK2.... why not do a quick sprite rehash and make a green female ninja too? Yeah, it was an acceptable design strategy for fighting games in the mid 90's, and in fairness, Jade was actually a pretty cool "secret" character in MK2. 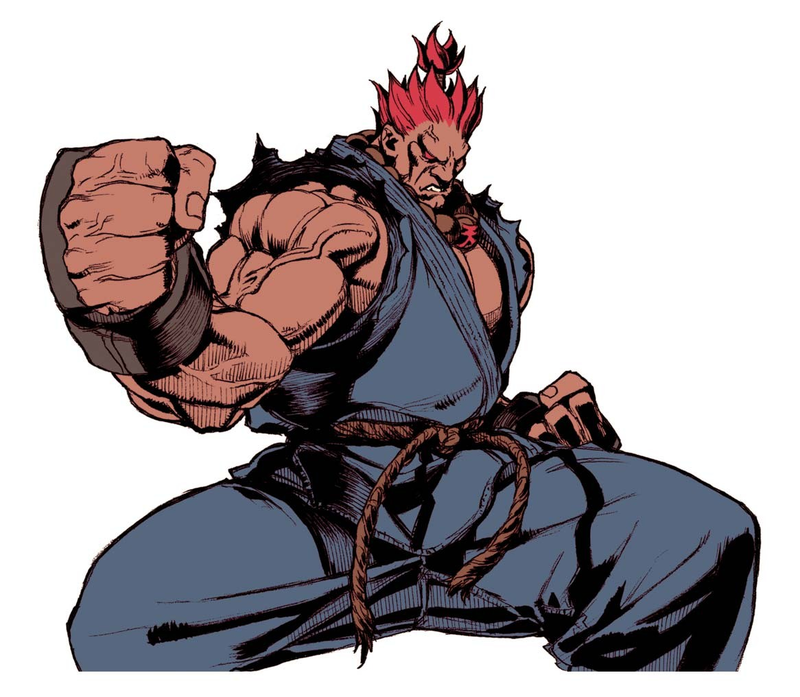 If you knew the trick of how to fight against her, you were pretty much deemed "cool" at your arcade. 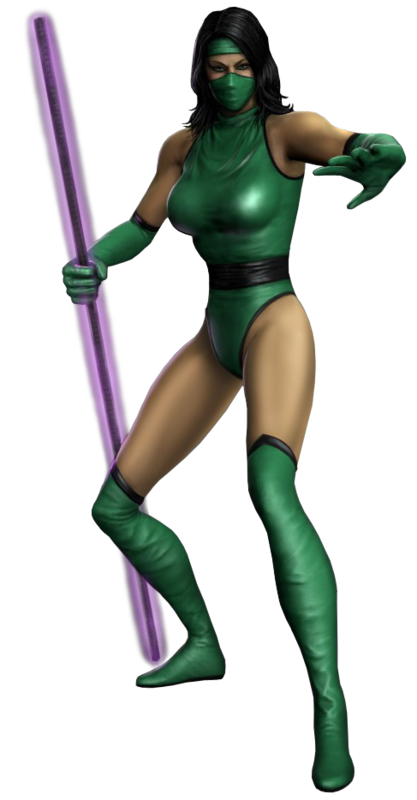 While Jade debuted in MK2 as a simple sprite clone, she was finally fleshed out in MK3U, where she got unique special moves and a glowing purple staff. 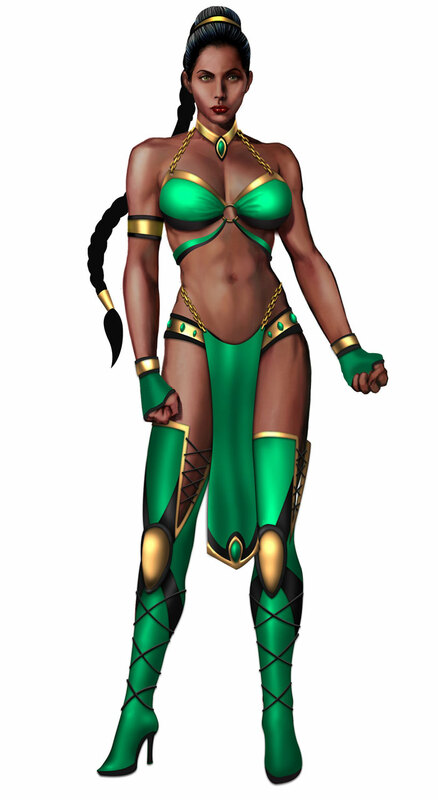 In the "3D era" of MK, Jade's design became pretty stale and just seemed forced IMO. Appearance-wise she doesn't look terrible in those PS2 games (besides her bad case of man-face), but neither her fighting style or appearance stood out very much during that time. For a long while, her visual design was your typical slutty MK ninja girl... with a bo staff. 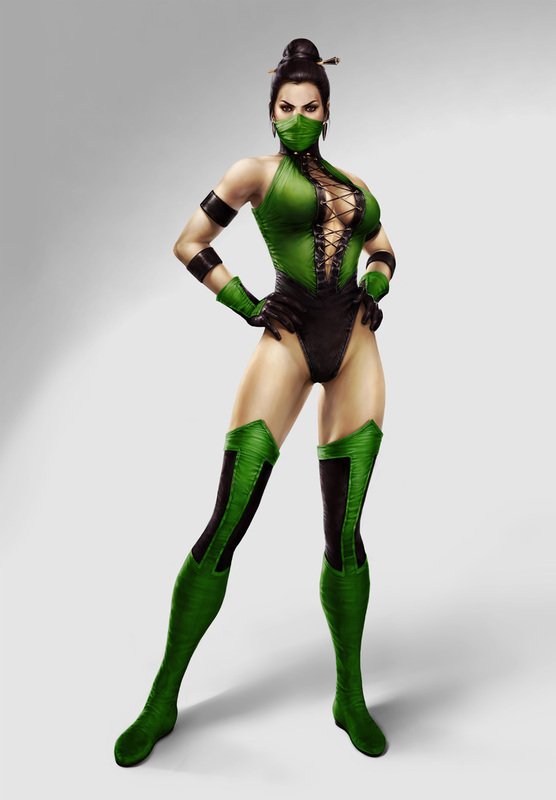 After many missteps, Jade's MK9 incarnation was a step in the right direction, easily one of her best appearances. In MK9, she's more distinguished from the other ninja girls and has a pretty cool moveset. 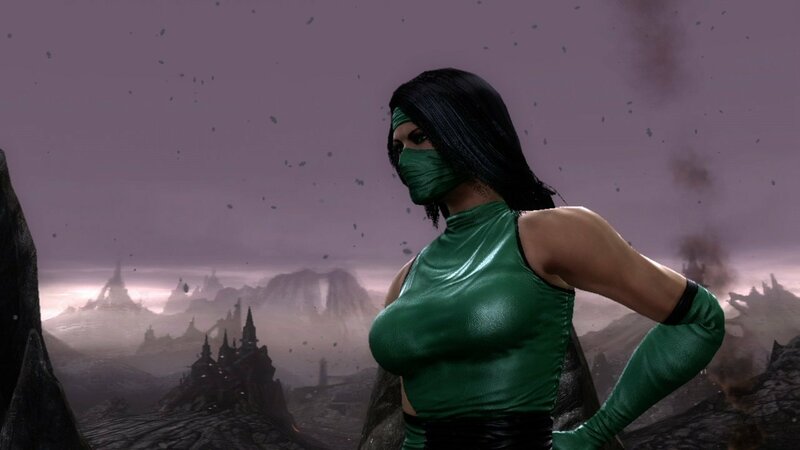 Jade skipped MKX for some reason but returned in MK11 as a "zombie" version of herself (the same thing they did with Liu Kang in Deadly Alliance). Her MK11 "revenant" redesign resembles a ninja turtle with the flu (but her hooded human form is much better). Her MK11 moveset seems decent.